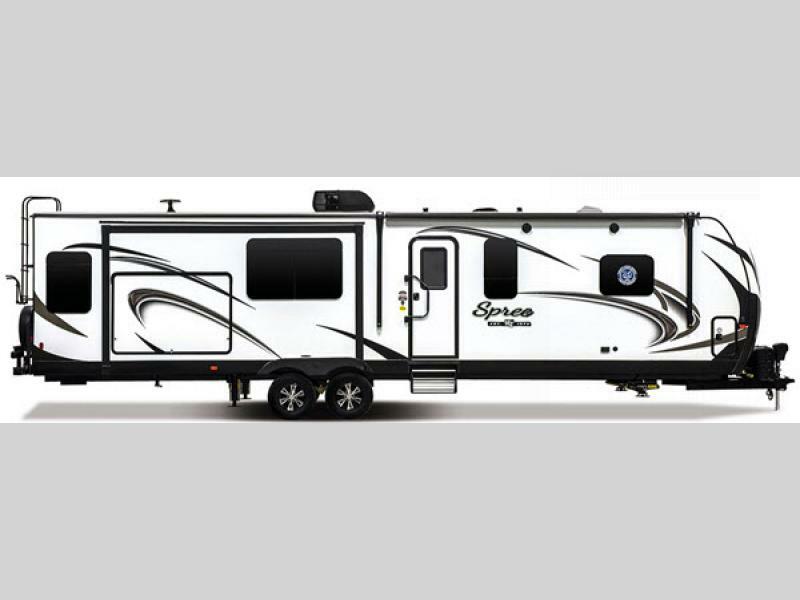 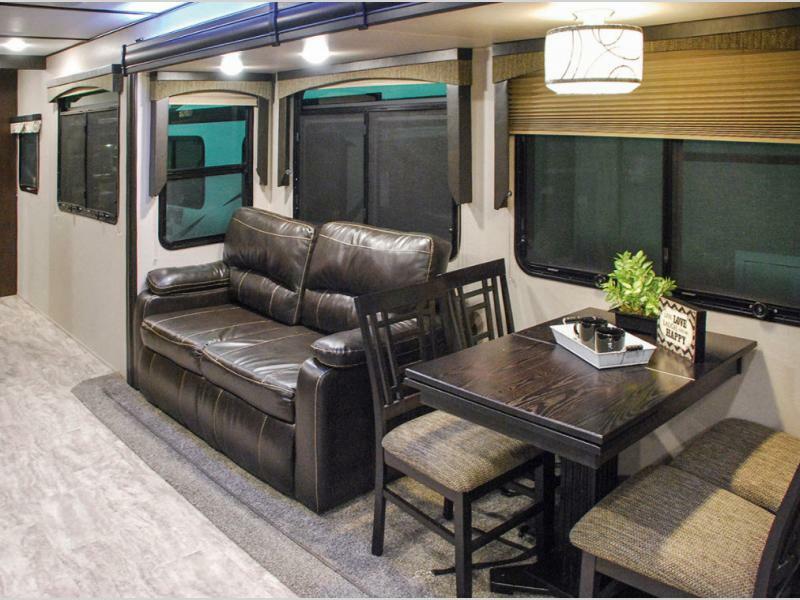 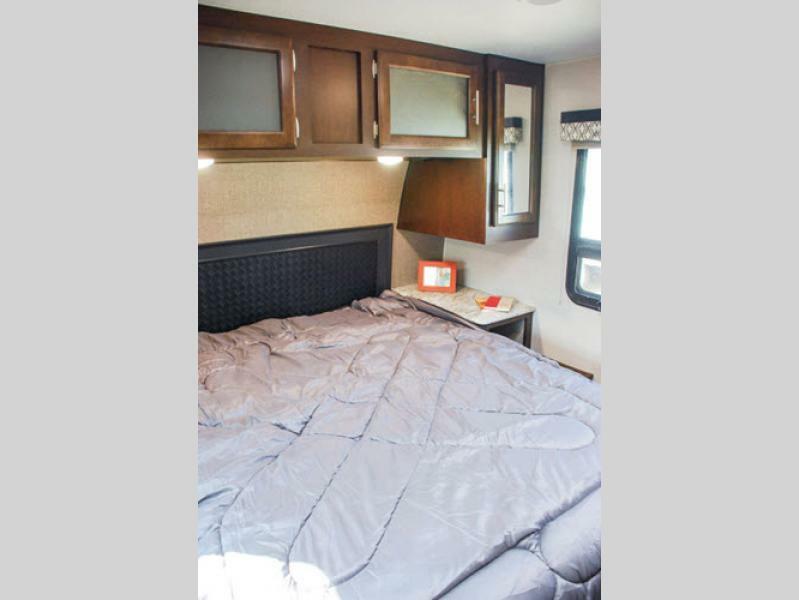 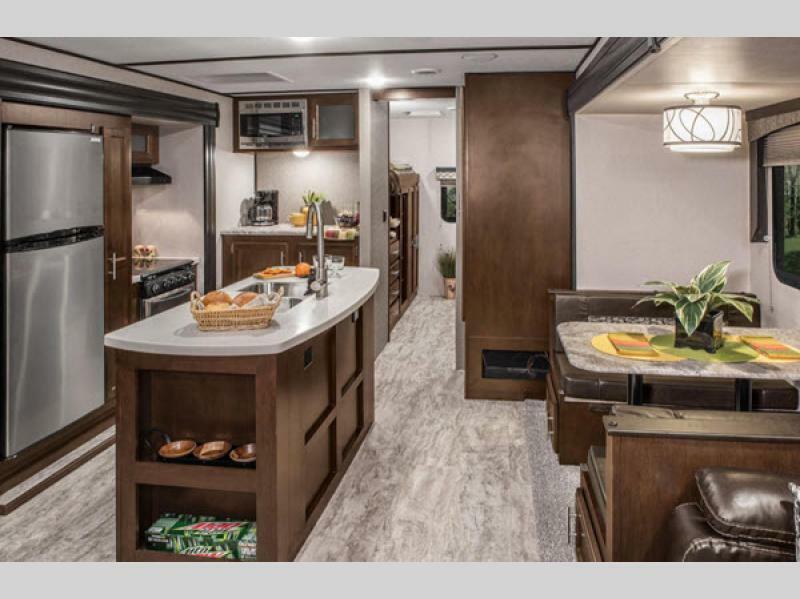 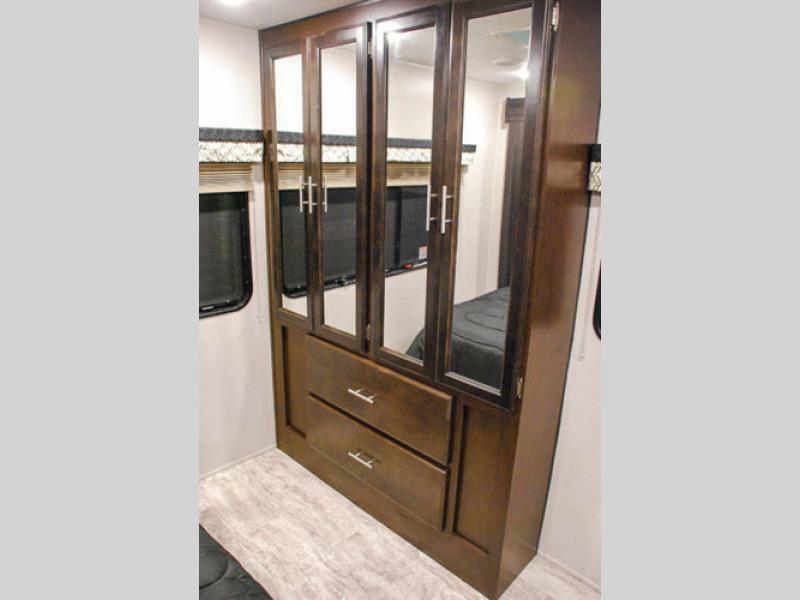 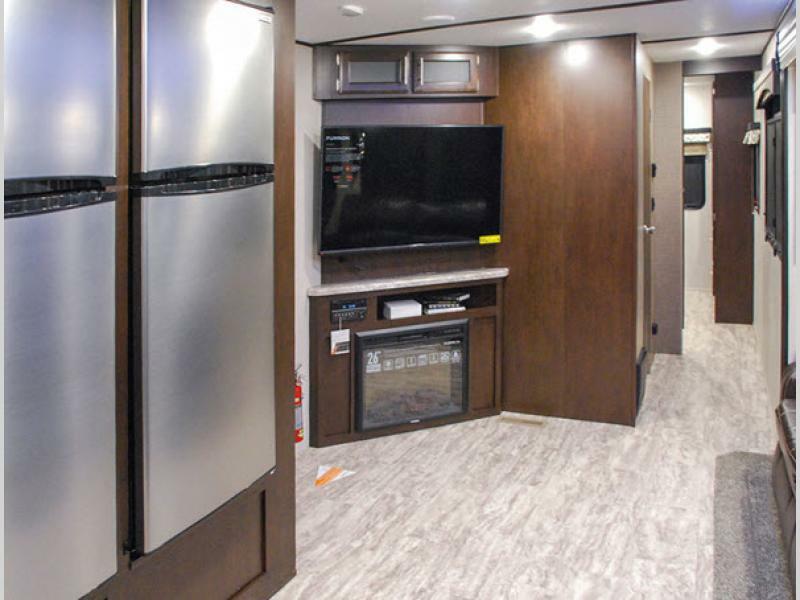 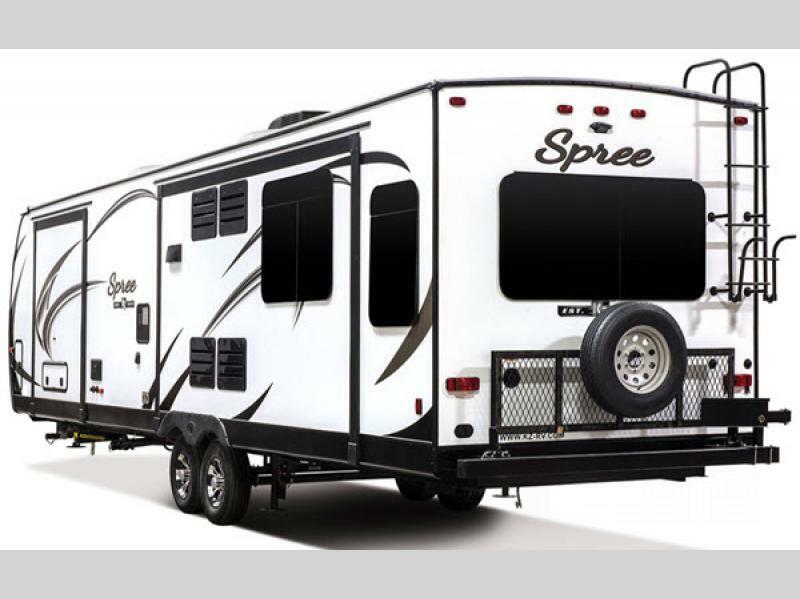 The KZ Spree luxury lightweight travel trailers are aimed at seasoned vacationers who know what they want. 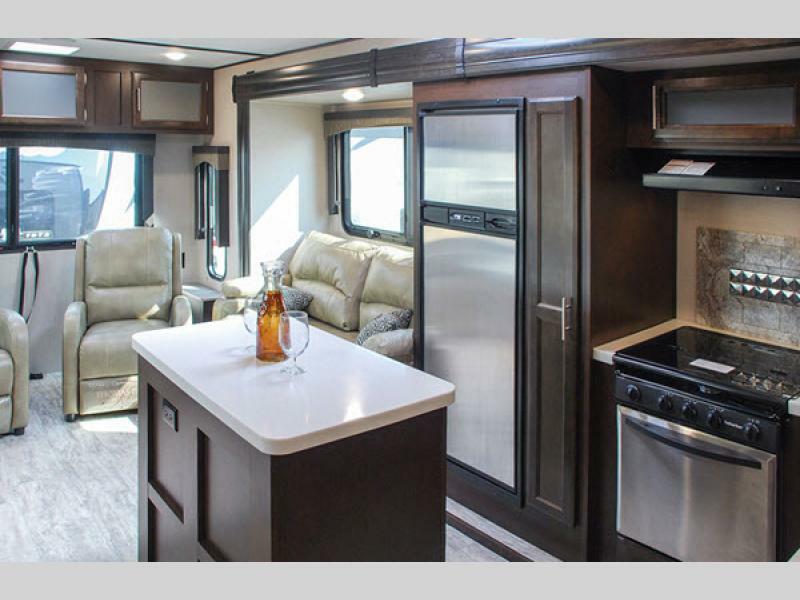 These travel trailers were designed to help you make the most of your outdoor adventures. 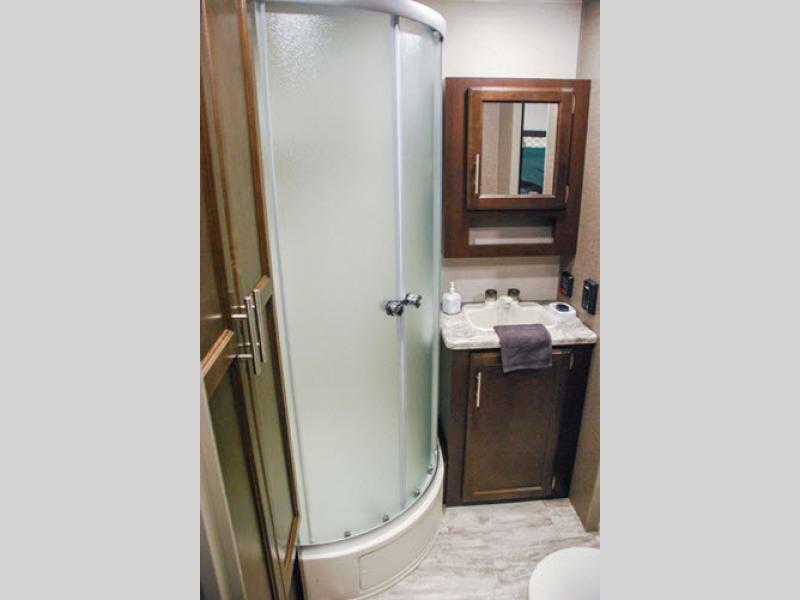 They accomplish this by having comfortable and spacious residential luxury that is sure to exceed your expectations. 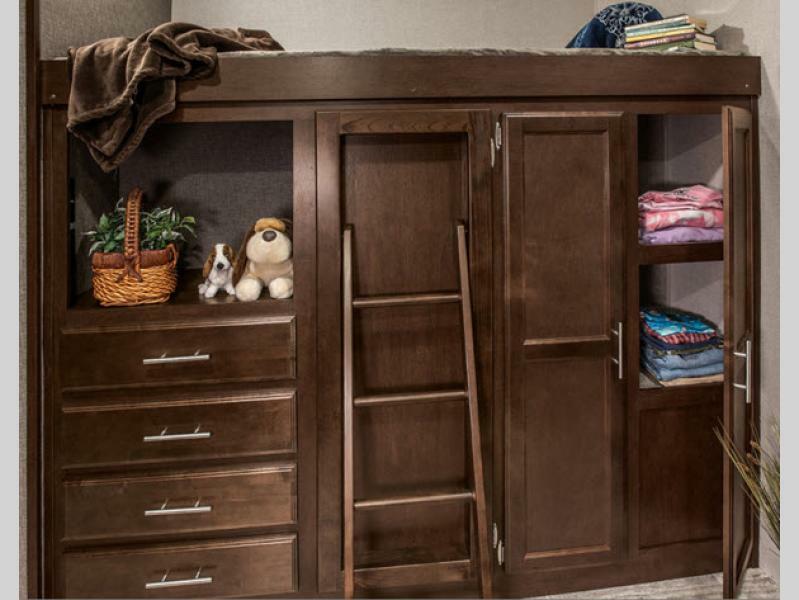 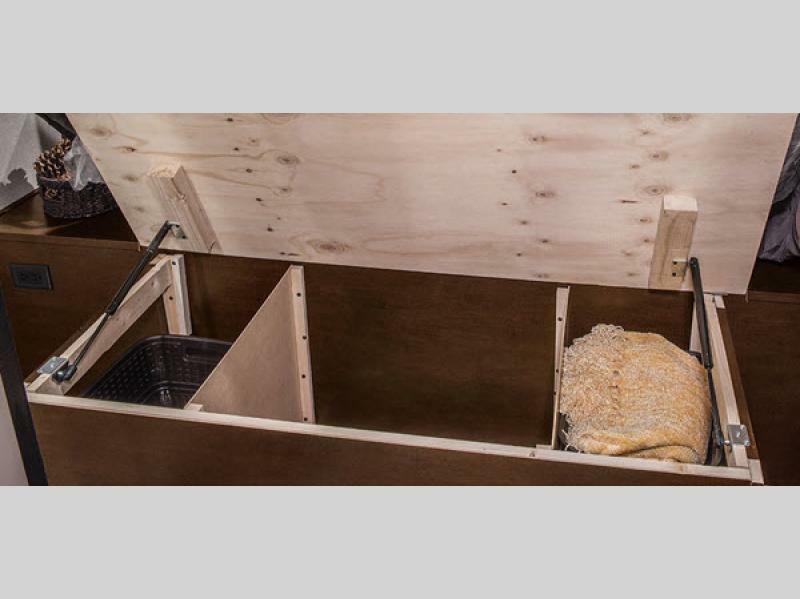 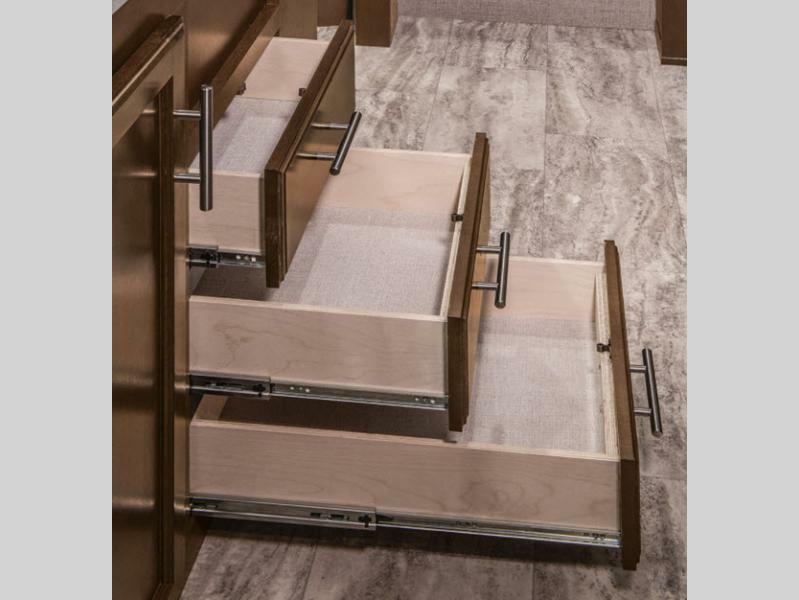 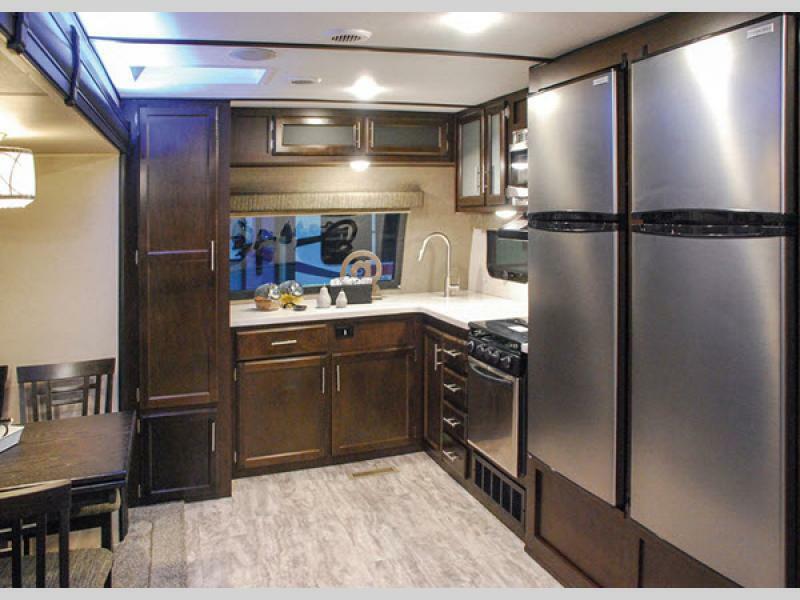 A few examples are push-back recliners, stainless steel appliances, a pass through storage, and much more. 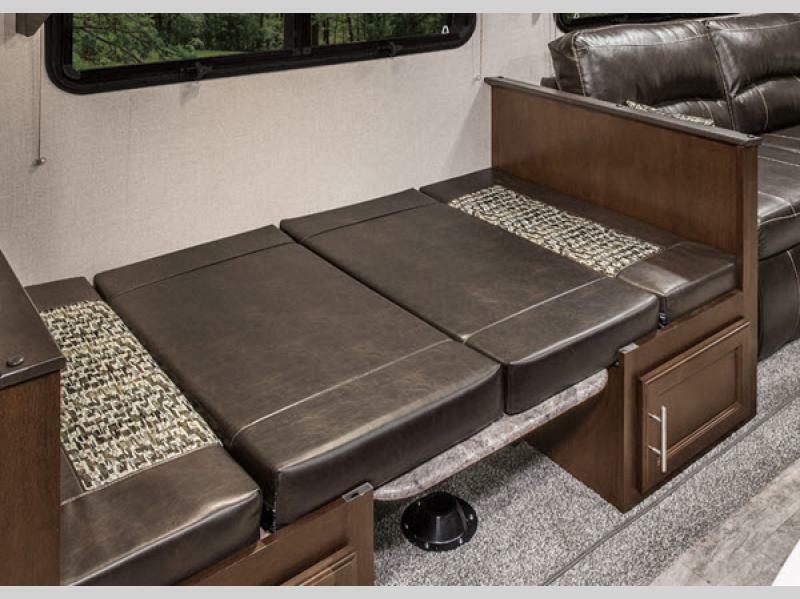 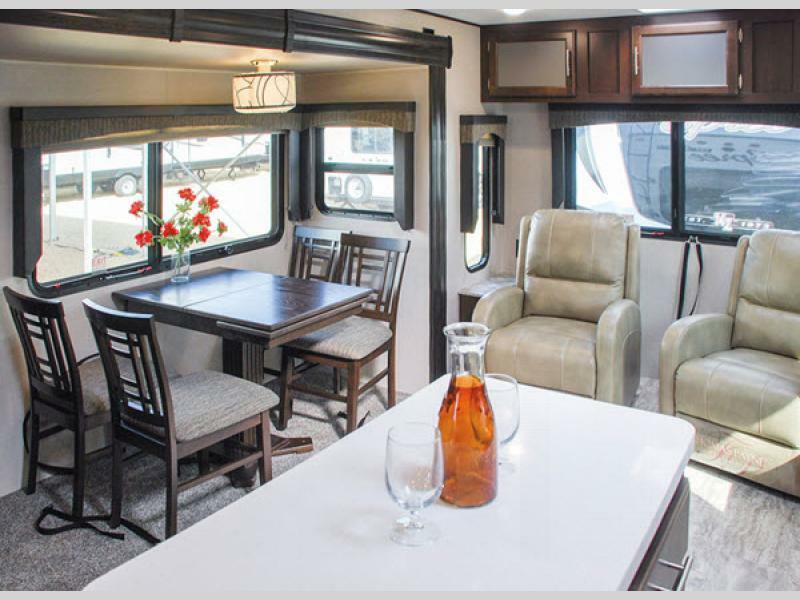 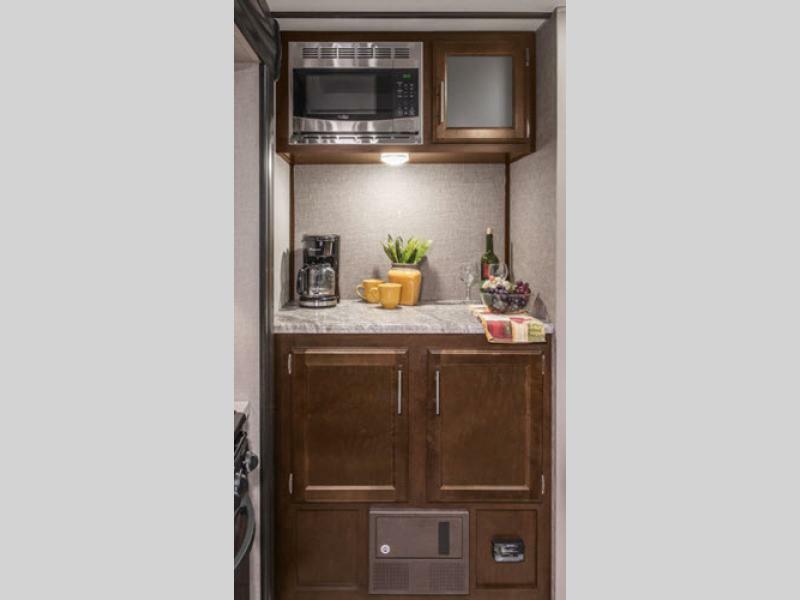 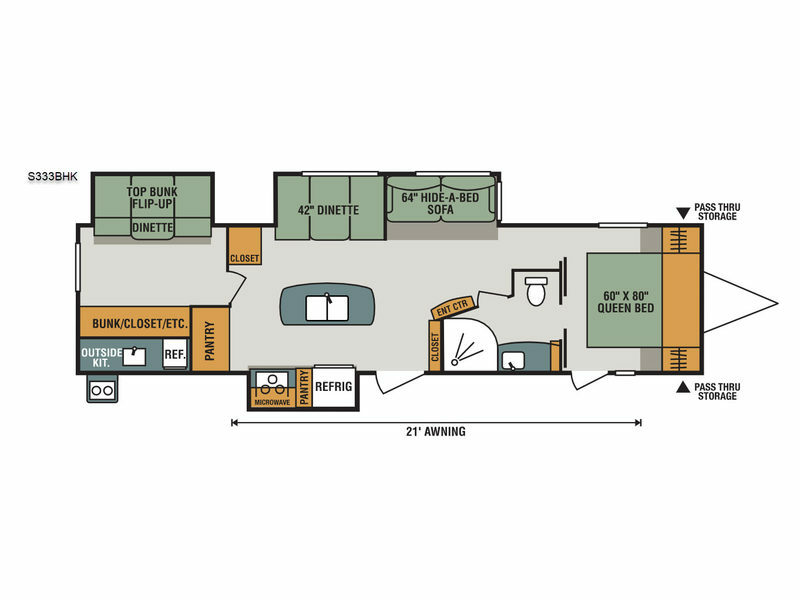 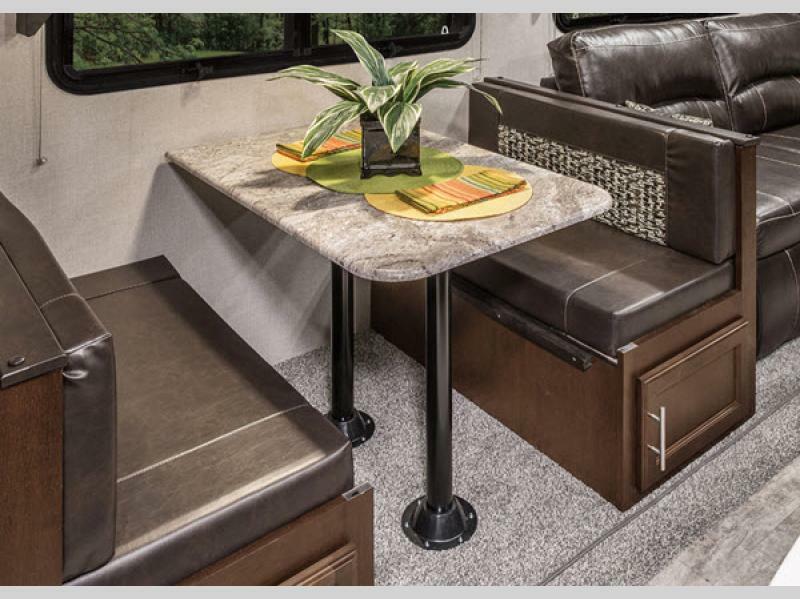 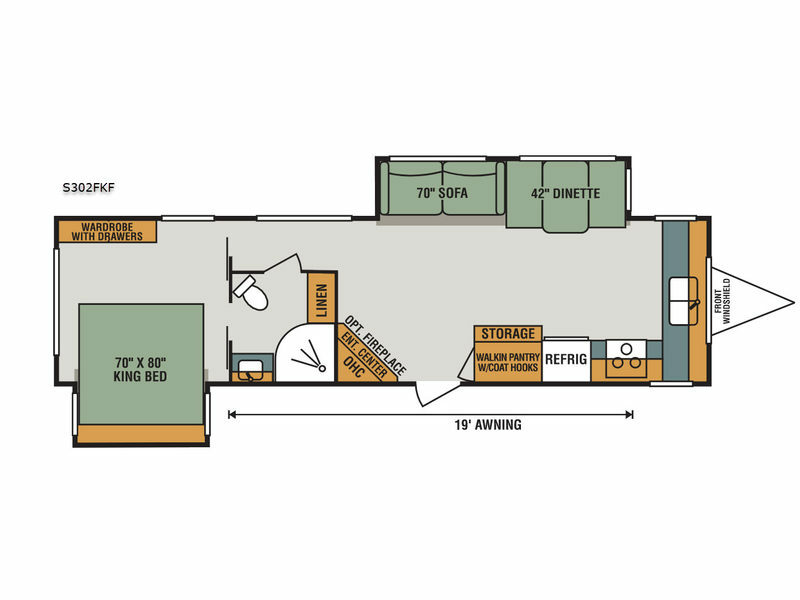 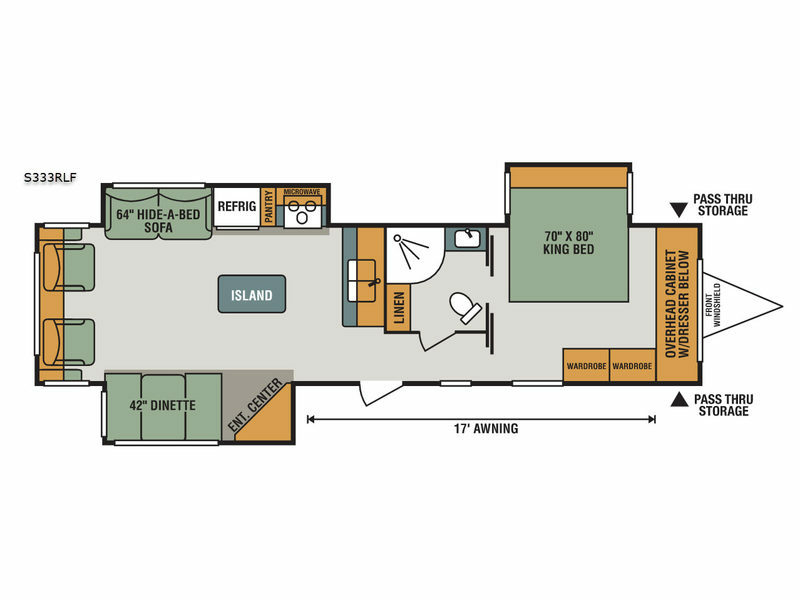 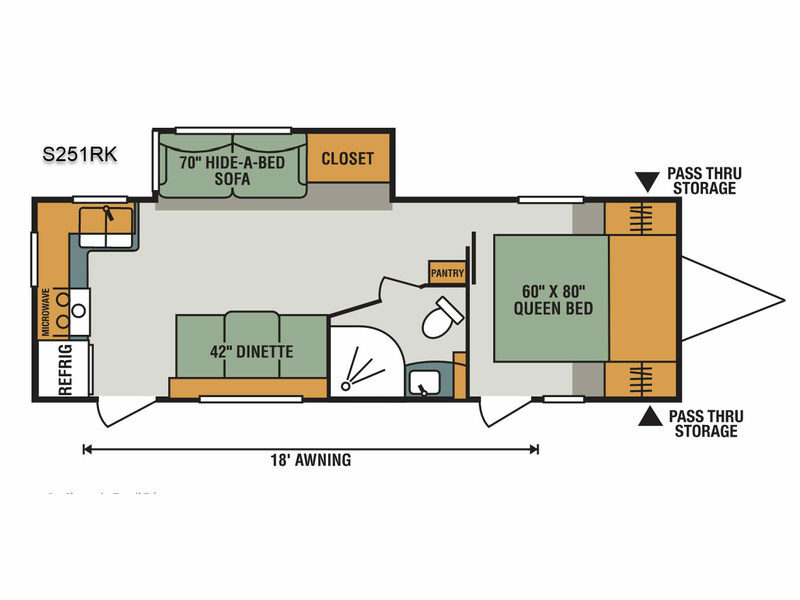 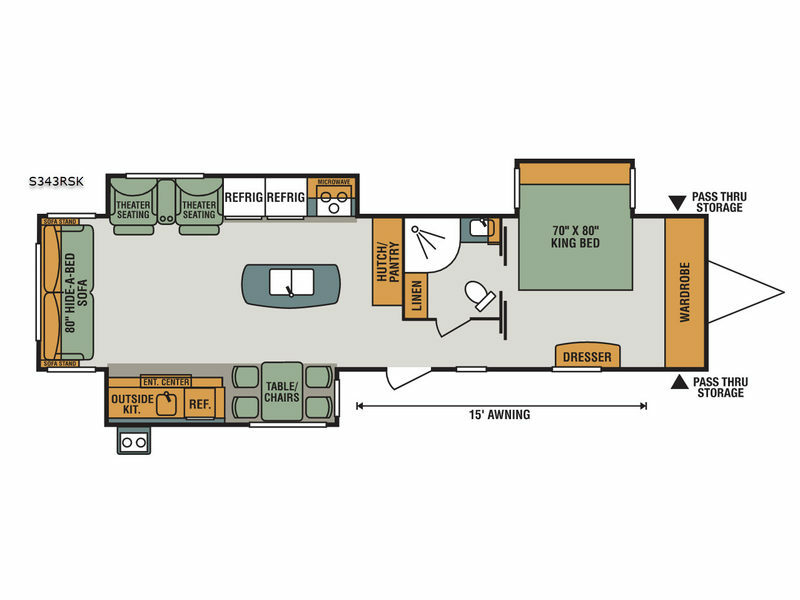 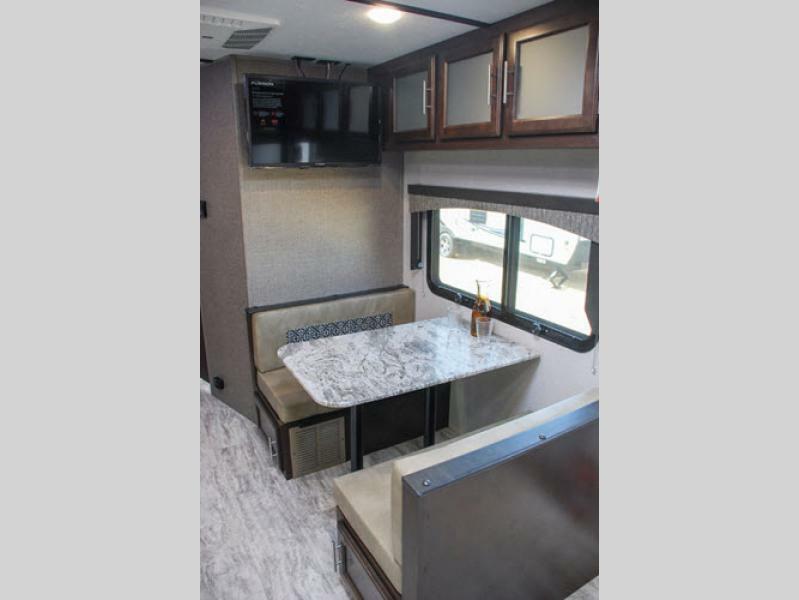 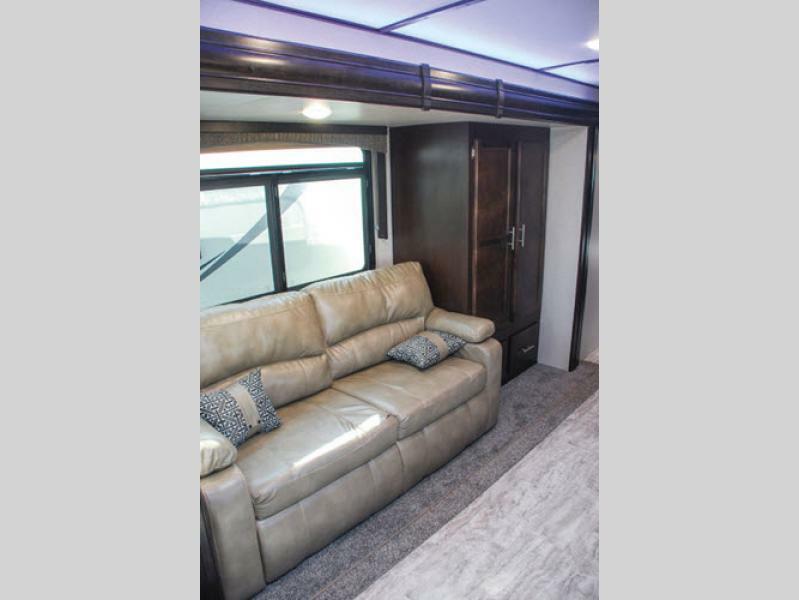 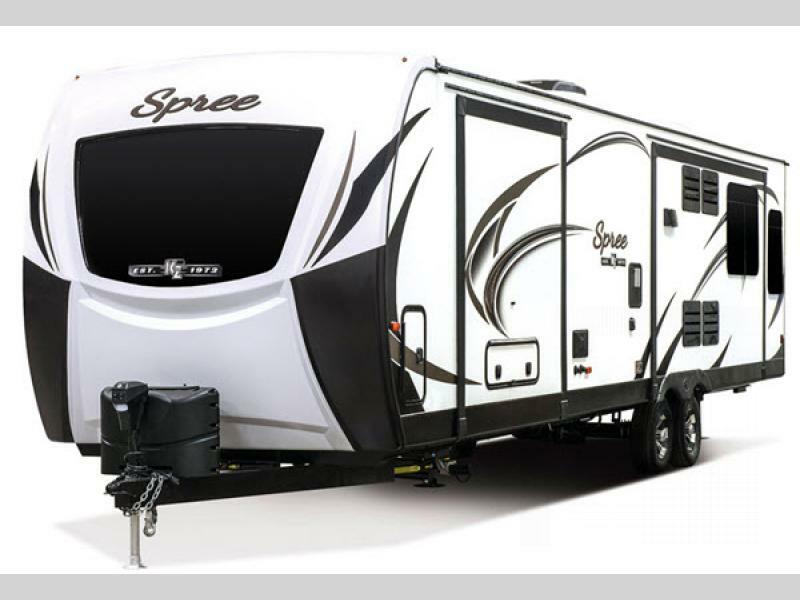 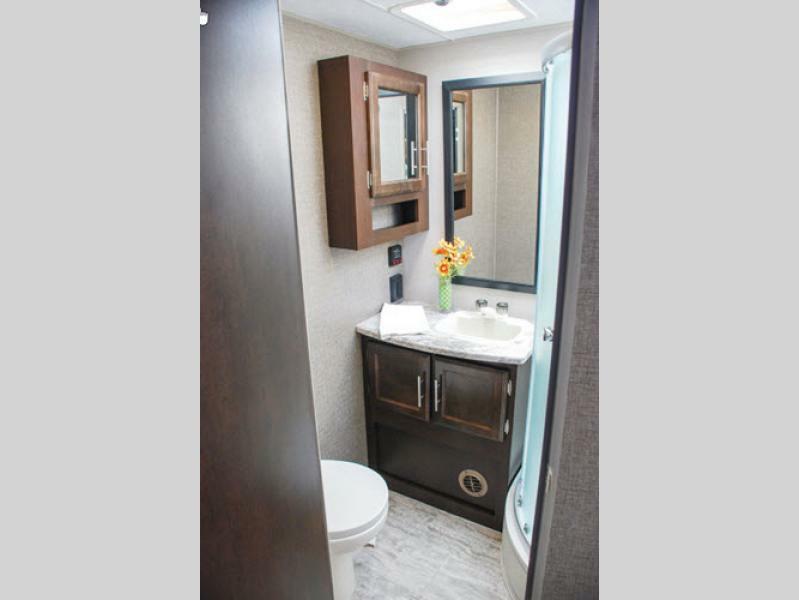 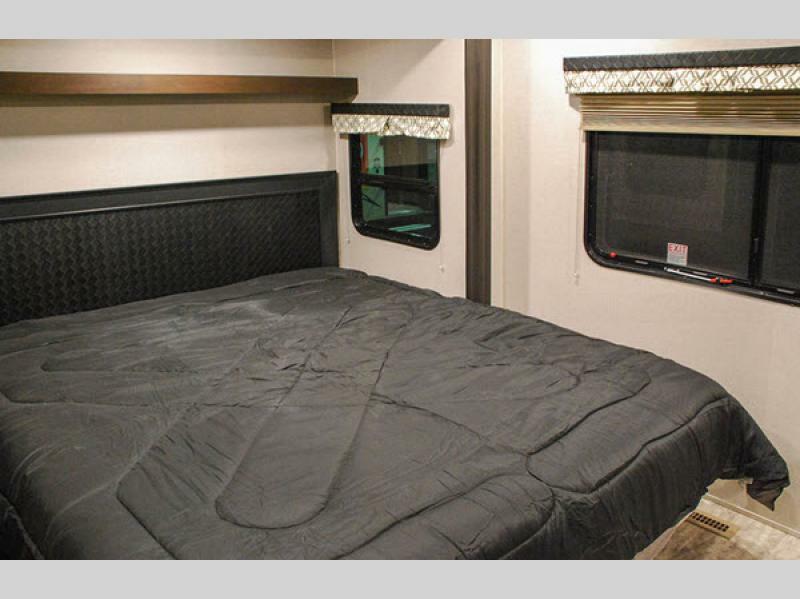 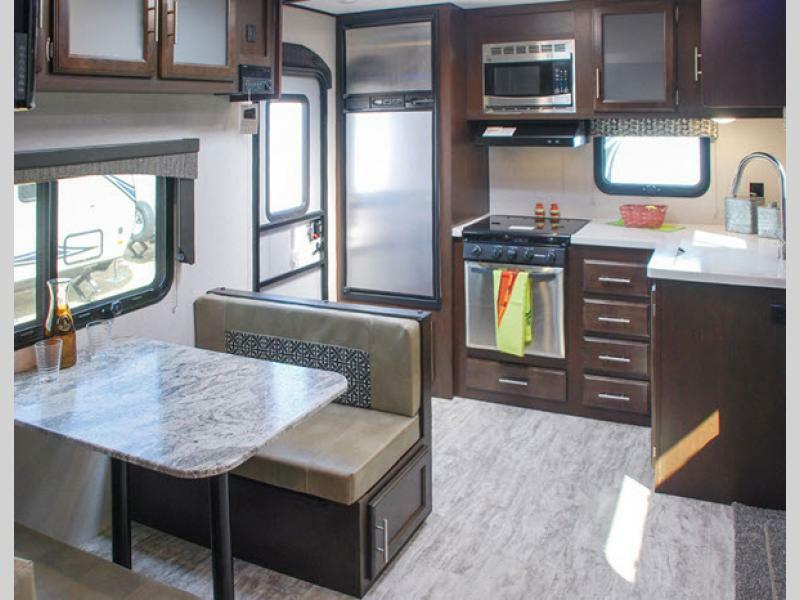 KZ Spree travel trailer floorplans are engineered for the long haul with a five sided aluminum structure, one-piece seamless roof with SuperFlex roofing materials, fully walk-on roof decking, and a painted front cap. 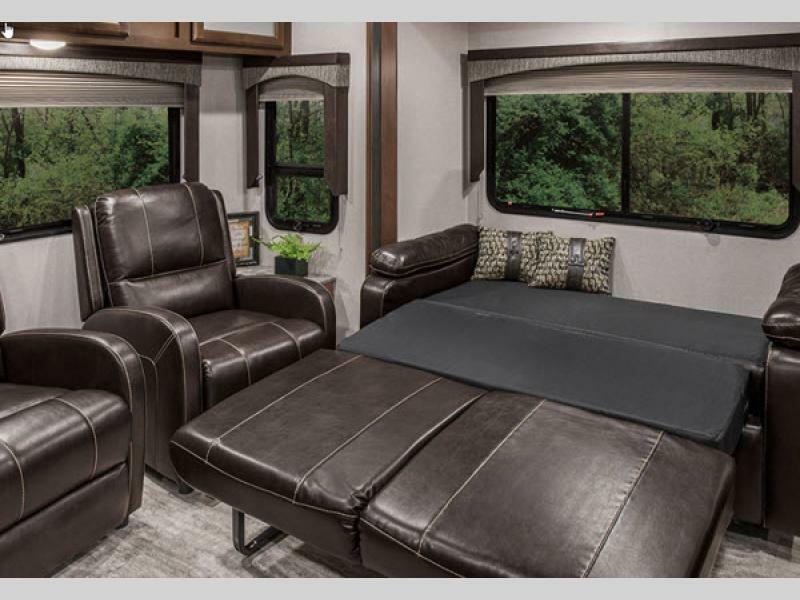 K-Z’s 24-month hitch-to-bumper limited warranty umbrella is the best 2-year warranty in the business, covering more than 1,500 operations codes for a full two years, and protects your investment while you enjoy your new RV. 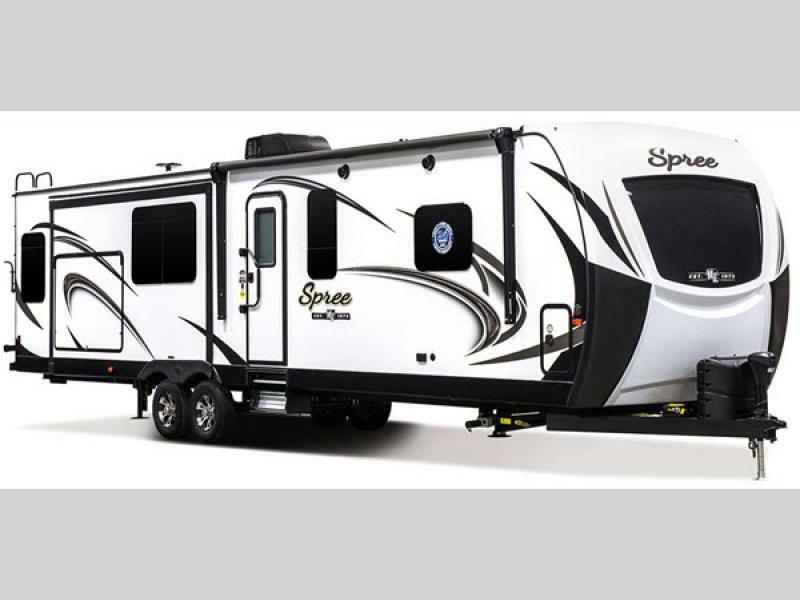 If you desire to get the most bang for your buck then come choose your favorite luxury KZ Spree lightweight travel trailer model today!